A pizza truck hired for your next staff or client event could turn your office party into a memorable experience. Whether it’s an in-house, mid-week work meeting, a Friday after-work get together, or a chance to meet and greet valued clients, a mobile pizza truck is a great way to create a positive environment to interact. A corporate environment can be dull and typical catering options like sandwich platters don’t leave much of an impression. Pizza is an all-around favourite that won’t just feed your staff and/or customers, but make them feel rewarded. Hiring a pizza truck is giving your staff an experience. A pizza truck like those supplied by Roam’In Pizza creates a sense of anticipation and occasion. The setting up and cooking of the pizza on site is part of the mobile pizza ceremony. It shows a managerial commitment to the event compared to merely ordering pre-cooked delivered food. 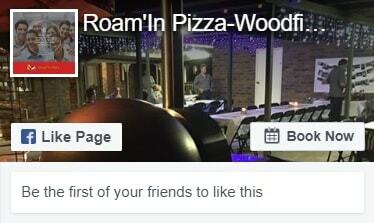 In addition, the Roam-In Pizza staff take the job of service very seriously. It always strives to help create a positive corporate occasion. Corporate catering can be tricky. How do you satisfy many different staff or customers in one operation? 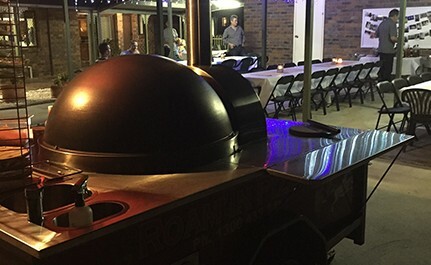 Pizza catering by Roam’In Pizza offers a range of pizzas to be cooked fresh on site, including gluten-free. We can also cook our pizzas without cheese and can suggest the pizza topping combinations that work best for dairy free and gluten free. Pizza is the one food that is the epitome of casual dining. 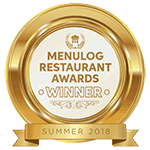 If you are planning to reward staff for hard work or customers for patronage, pizza is a casual no-fuss catering that creates a relaxed atmosphere, encouraging easy communication. Office catering with pizza doesn’t have to be for an office. 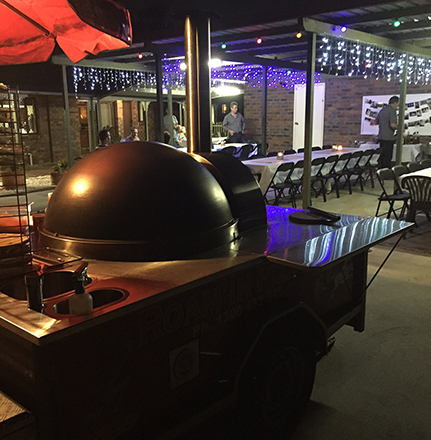 Roam’In Pizza mobile catering has attended building sites, factories, industrial buildings and many organisations that prefer a casual office catering environment where feeling relaxed are paramount. 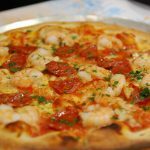 Pizza catering packages start as low as $26 per head for two and a half hours of unlimited servings of pizza or enquire about our packages specially designed for our corporate clients. Servicing Brisbane, Gold Coast, Sunshine Coast and Ipswich.